I enjoyed my first and last snickerdoodle cookie two Christmases ago when my brother and his girlfriend randomly made a batch. I fell in love with the flavour right away. On paper there is nothing special about a snickerdoodle, it's a basic sugar cookie, except that it's rolled in cinnamon sugar before baking. And that makes all the difference. I have had this recipe bookmarked for quite some time and since snickerdoodles are Christmas cookies, and I already had two cookies planned for Christmas (before the Maple-Oatmeal issue), this recipe was perfect. There is honestly very little difference between this batter and an actual snickerdoodle cookie dough, its just a thousand times easier since it doesn't have to be done in batches. However, what makes this recipe better than the average one is the addition of cinnamon and nutmeg in the batter. The only adjustments I made were to slightly reduce the sugar and increase the nutmeg, because it's nutmeg :). The batter comes together very quickly and is super easy. With a strong enough arm and warm enough butter you could even forgo the use of a mixer. 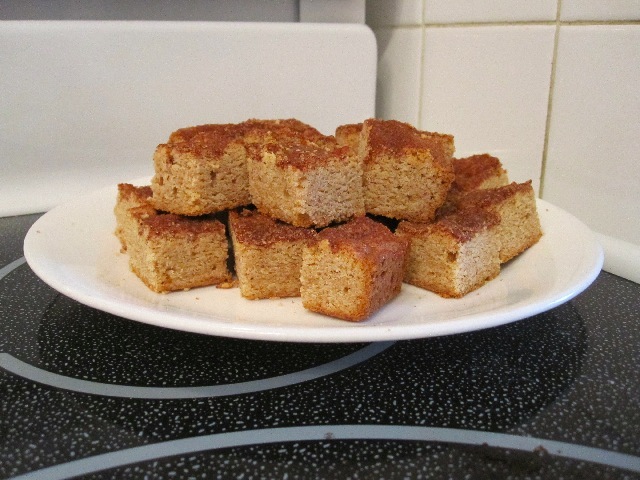 The blondie has a nice balance of sweet and spice and any of the sweetness that is lost by my reduction in sugar is more than made up for by the cinnamon sugar topping. 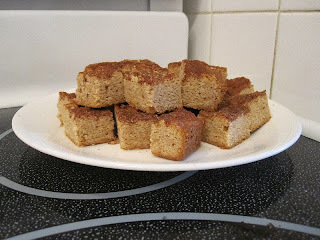 It tastes exactly like a snickerdoodle should, even managing to capture the same texture: crispy on the outside, soft on the inside. It's absolutely delicious, and is definitely up there as one of my favourite recipes. 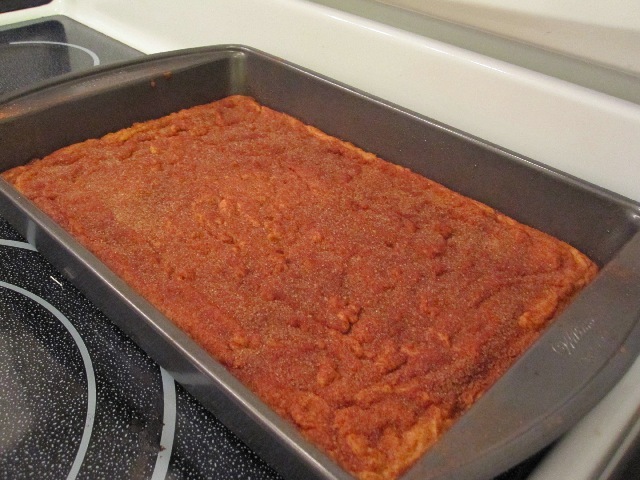 This is also a great fallback recipe, since it's so easy. Had I known that I could enjoy a good snickerdoodle so easily I definitely wouldn't have waited so long to make this. Then again, having a really super simple way to make delicious cookies is probably not the best idea. I already have to have my treadmill running non stop in order to make up for my Christmas vacation. Though, I suppose it would help even more if I were actually on it :). 1 cup unsalted butter (225g), room temperature. Preheat oven to 350F and grease a 9x13” brownie pan. In a medium bowl add flour, baking powder, cinnamon, salt and nutmeg and whisk to combine. In the large bowl of a mixer, cream together sugar and butter on medium speed until light and fluffy. Add eggs one at a time until combined, scraping down the bowl as necessary. Add vanilla and mix until combined. Reduce mixer speed to low and slowly add flour, mixing until just combined. In a small bowl add sugar and cinnamon and whisk to combine. Evenly pour the cinnamon sugar over the batter (it might seem like a lot but it's not :)). Bake for 25 to 30 minutes on centre rack or until blondie springs back when touched (this took me 25 minutes). This is the second recipe this week I am using of yours! The first one I used was the Blueberry Bran muffins I altered the recipe slightly using banana instead of egg and it was actually really good the recipe was delicious!!! Except the liners I got from the store were just awful and stuck to everything I made (including cupcakes I made the next day). I am currently waiting on this recipe to finish up in the oven! It smells delicious so I am sure the end result will be just as good! Thanks for the yummy recipes! !